I recently bought some laser galvos from Aliexpress. What I got was the basic guts of a laser light show system. It came with everything I needed except the lasers. 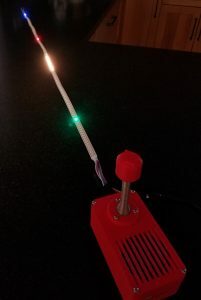 My goal is to control a laser to make a large interactive artistic display or game controlled by a micro controller with a DAC. 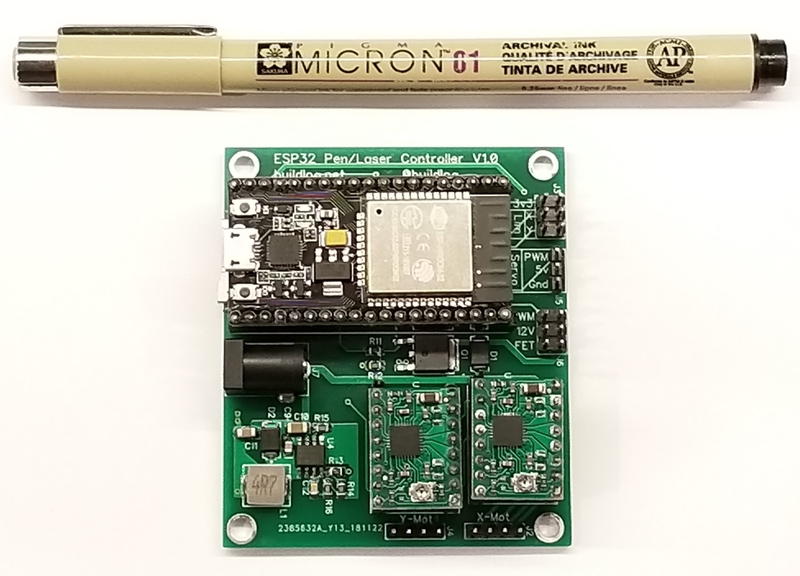 I have a PSoC 5 and an ESP32 that have DACs, so I may use those. Galvos work like speakers, old school analog meters or hard drive arms. They move proportional to a current. They can move extremely fast and precisely with the ability to move to 30,000 positions per second. The galvos came with drivers. 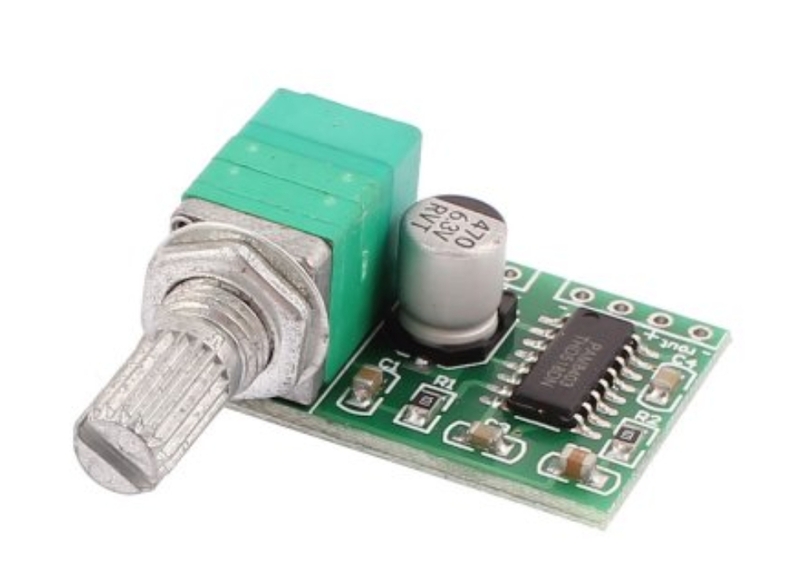 This simplifies the control to a simple differential voltage. A differential voltage is used to increase noise immunity. The ILDA spec says the differencial voltage is 0 to 10V. This means at one end of travel you supply -5V and 5V and at the other end of travel you swap the voltages supply +5V and -5V. 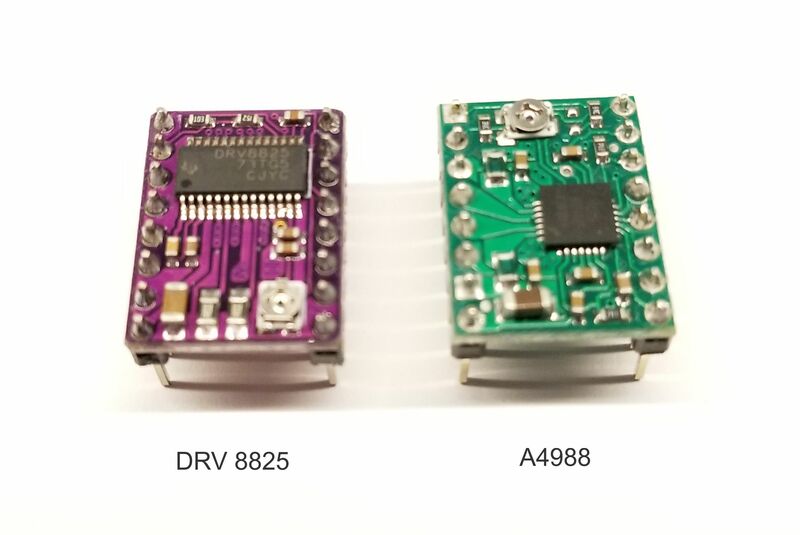 My DACs are 0V to 5V (0r 3.3V). I need to convert this range to a 10V differential voltage. The easiest way for me to do this is to use some op amps. With what I have on hand it is easiest to get the 10V differencial using 0 to 10V and -10V to 0. 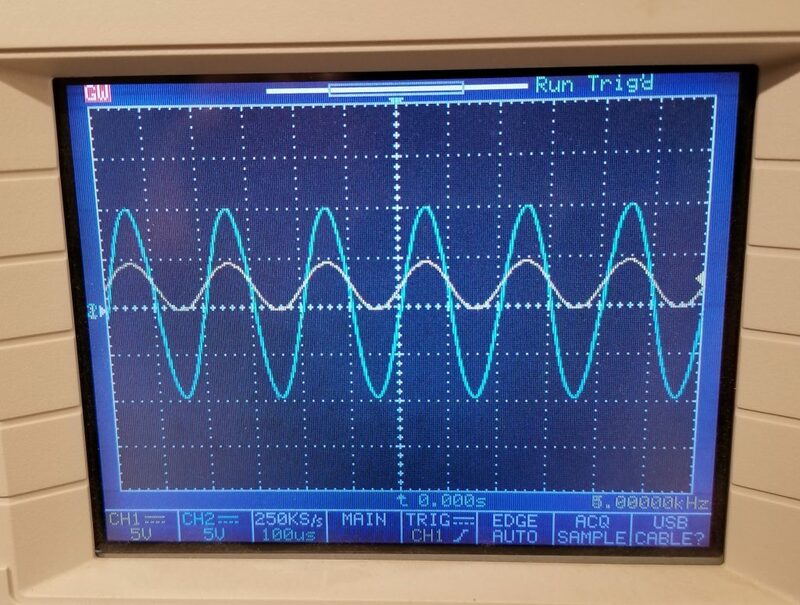 I tested on the galvos by outputting a -10V to 10V sin wave from a function generator. It worked great. 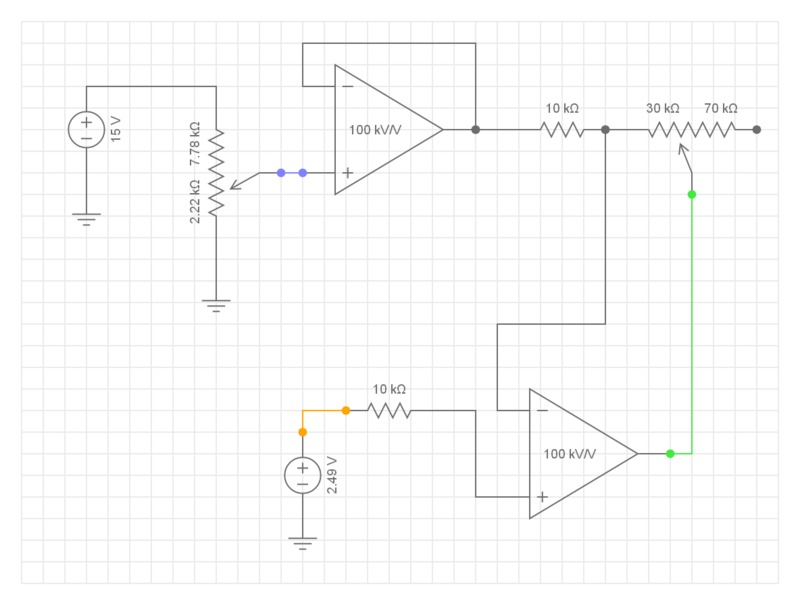 Assuming I use the 0-5V DAC, I need to map that to a -10V to 10V range. That is a 20V span and requires a 4x gain. I then need to offset that by -10V. The op amp circuit I show below is what I made. I used an LM324N because I had some. That has (4) op amps in a single package. The rails of the device need to be hooked up to a + and – supply that is greater than the range I will be using. Fortunately the galvos came with a power supply that outputs +15V and -15V. I used some potentiometers in the circuit to allow me to adjust the circuit. The lower op amp provides the gain. The gain on the positive side is 1 + 30k/10k which is 4. The negative side is used for the offset and its gain is 30k/10k which is 3. I need an offset of 10V, so 10V divided by the gain of 3 is 3.33V. I need that value to come from the upper op amp. That op amp has a gain of 1 so I simply need to adjust the pot in front of that to output 3.33V. The DAC is connected to the lower left voltage source in the schematic shown as 2.49V. The galvos would be connected to Gnd and the output of the lower op amp (green line). 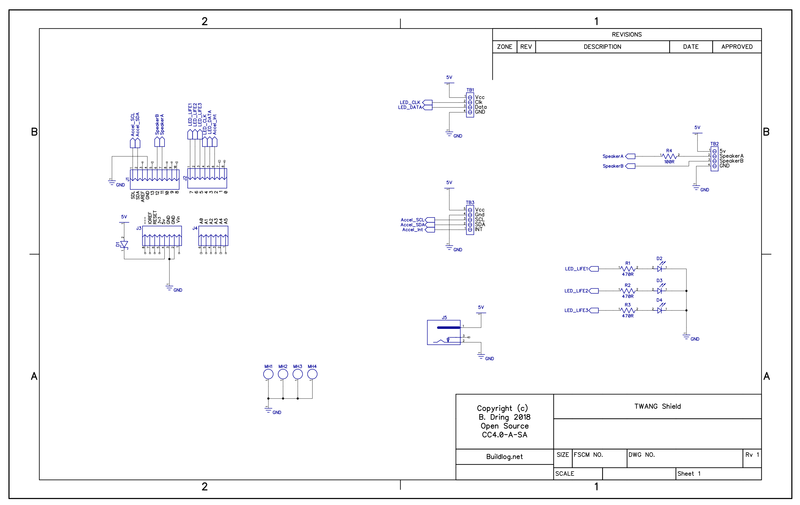 The schematic is interactive. Click the link below and try adjusting the input voltage between 0V and 5V. Click here to interact with the circuit. 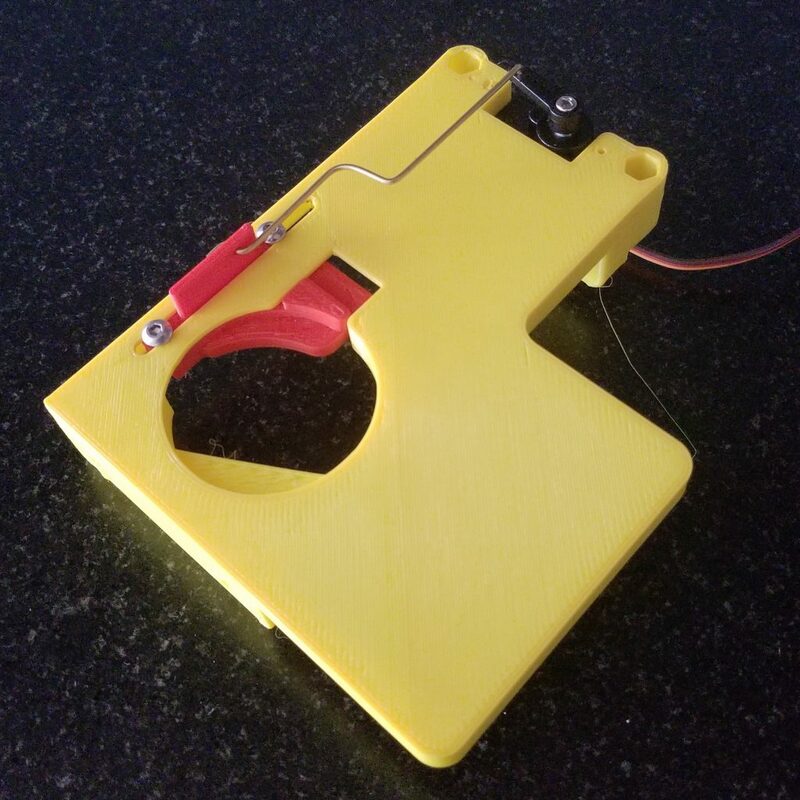 I needed to create 1 circuit for each axis. 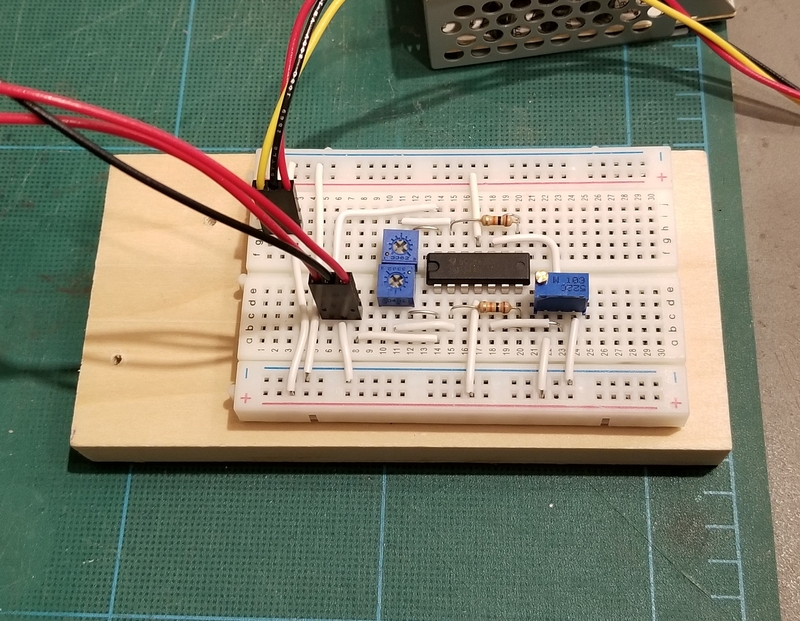 Here is my breadboard. Here are the signals on an oscilloscope. The yellow trace is the 0-5V input as a 5kHz sin wave. The blue trace is the output. Both traces use the center line as the 0V. The scale is 5V per division. The input has a low of 0V and a high of 5V. 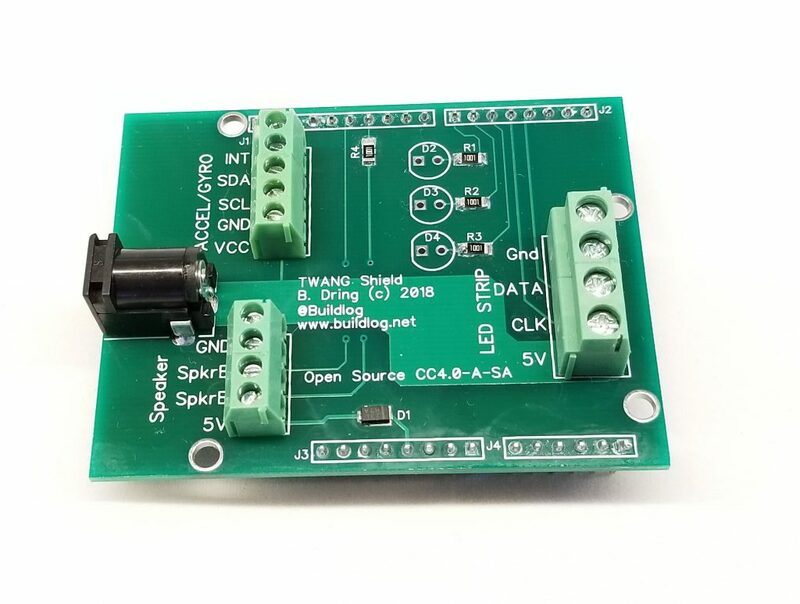 The output goes from -10v to 10v. I am using the tiniest laser I could find so that I don’t have to worry about safety yet. I 3D printed a base to keep things in line. Here is a short Instagram video of some testing. Playing with my laser galvos at NERP tonight. First…. 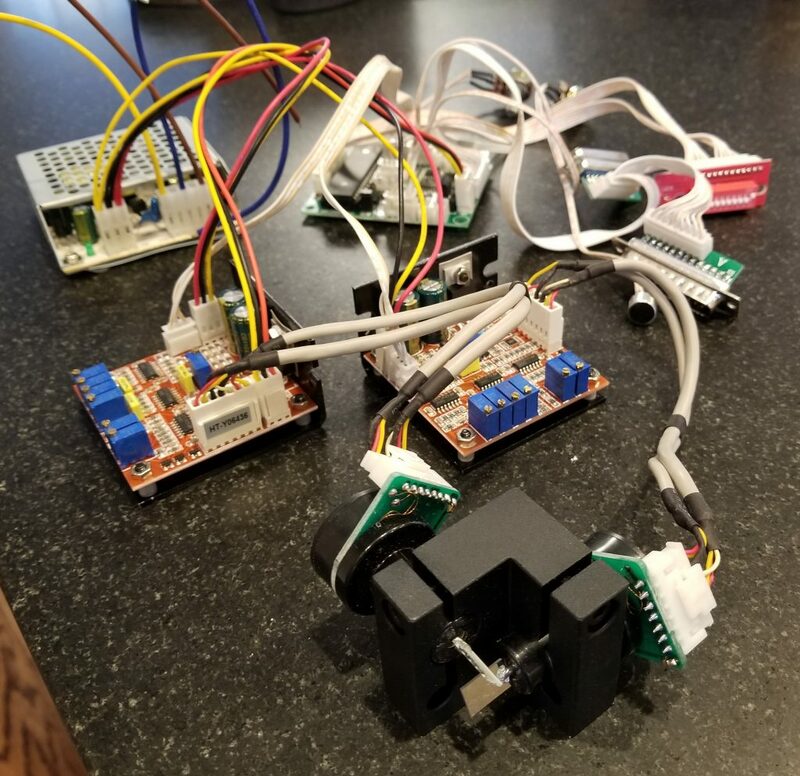 Most of the credit must go to Robin Baumgarten and Critters for the inspiration and firmware. 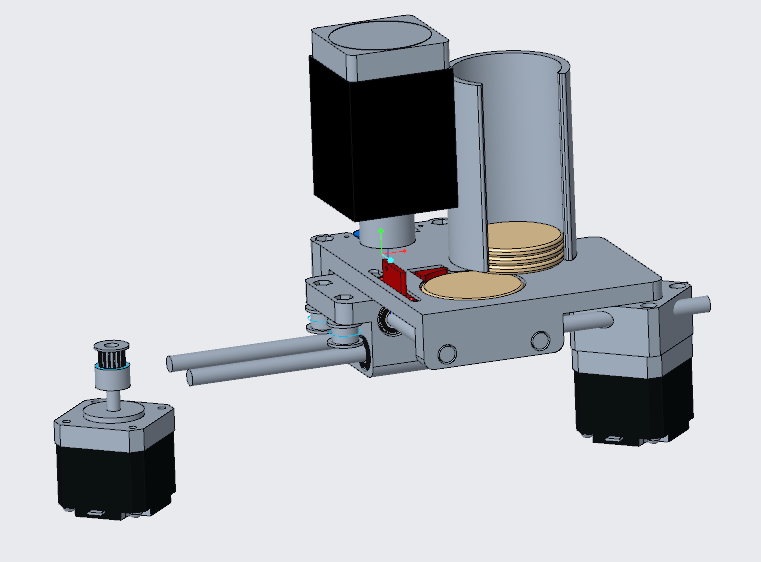 While I have hacked and tweaked the firmware a lot, the basic design is still all Critter’s. He did a great job. A lot of people have asked me to help them build one, so this blog post is here to help them out. 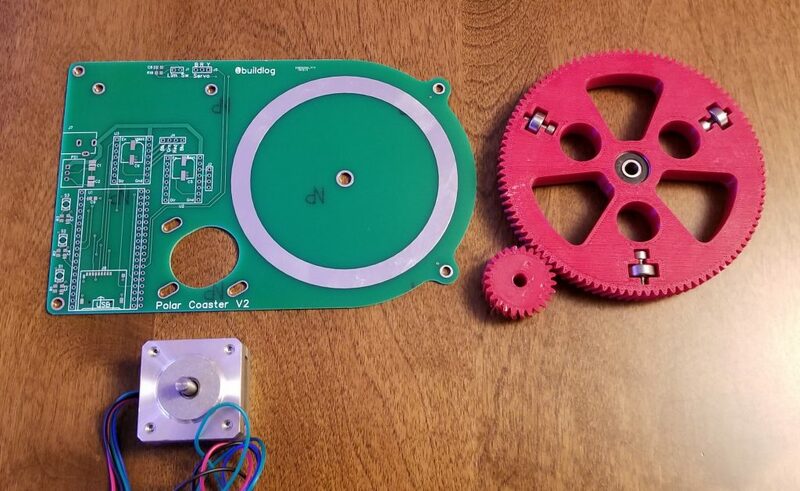 It is easy and fun to design and build your own parts and electronics. You can also either use my or Critters 3D printed parts. The electronics are quite simple and only consist of a few basic pieces. 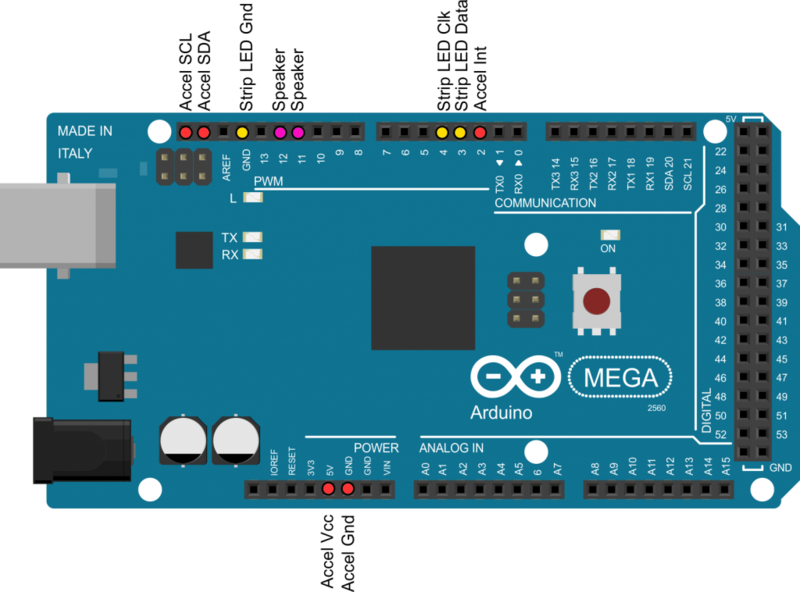 Arduino Mega – The firmware will not fit on an Arduino UNO, so you must use an Arduino Mega or anything using the the atmega2560 micro-controller. 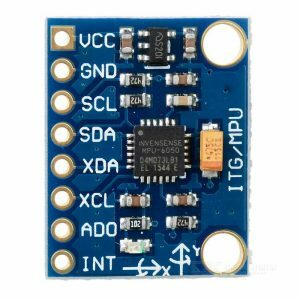 You can tpyically find a clone for less than $10. 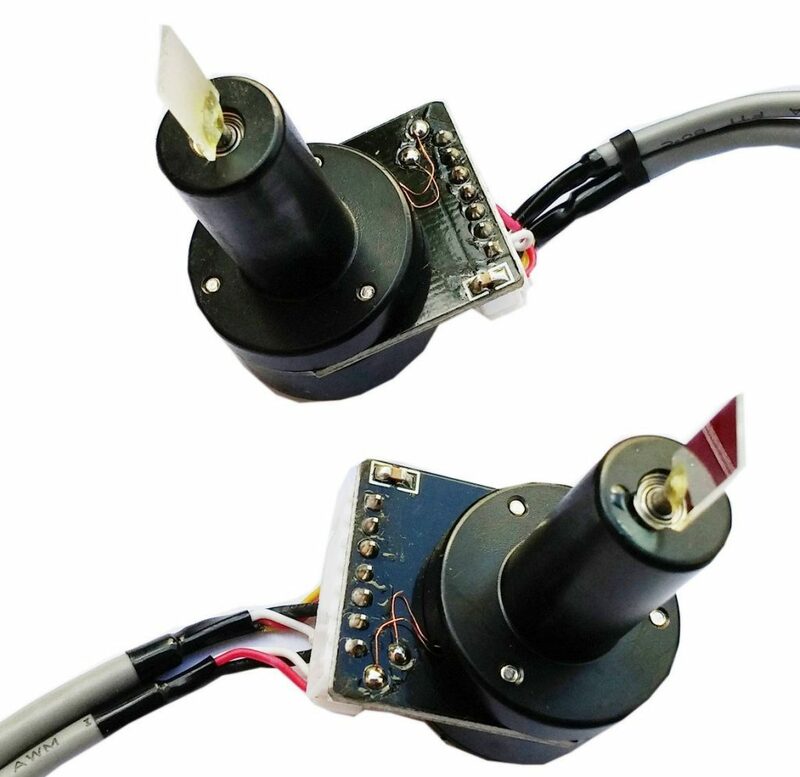 MPU-6050 – This is a 3 axis MEMS accelerometer and gyroscope. 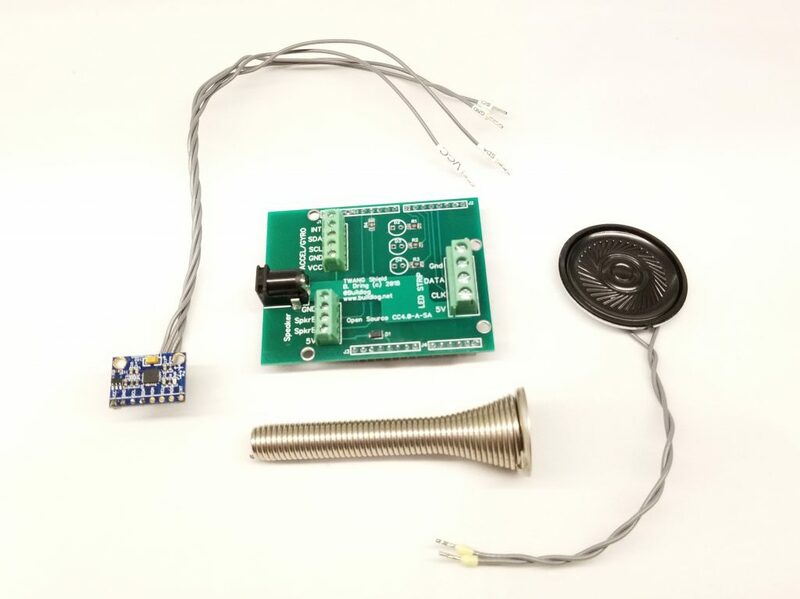 The easiest way is to buy a GY-521 breakout board. 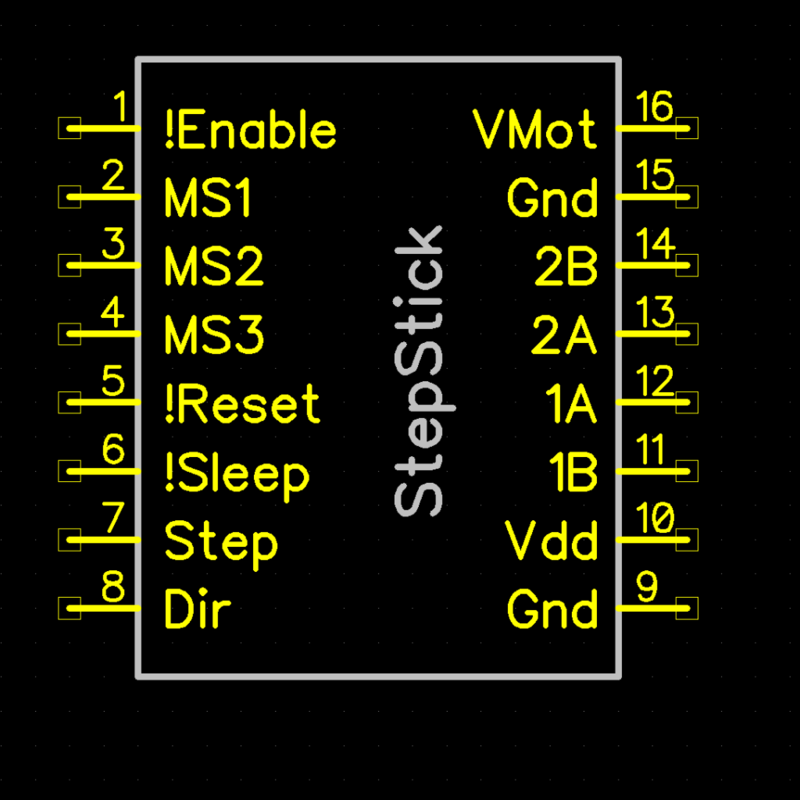 You only need to use the VCC, GND, SCL and SDA pins. Note: My shield also has the INT pin, but that was for experimentation. 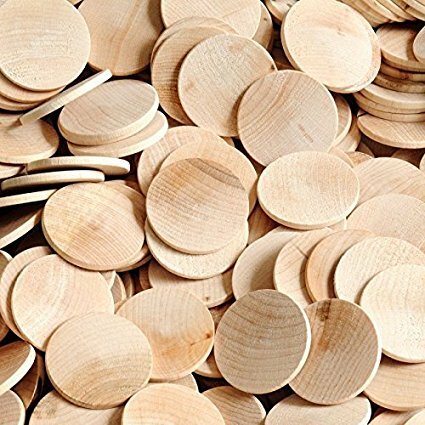 You can find these breakout boards on Amazon for less than $5. Speaker – You need a small standard speaker. The sound quality is not great, so don’t invest in anything expensive. I used an 8 Ohm speaker, but anything should probably work. The speaker is hooked directly to the Mega I/O, so you also need a 100 Ohm resistor in the speaker circuit. Typically a 1/10w to 1/4w resistor would be used. Note: This resistor is included on my shield. If you use my 3D printed design you will want a 40mm diameter with very little depth to it. Note: Do not connect directly to an amplifier. It is not designed for that. LED Strip – The FastLED library that is used, supports a lot of types. I like the APA102C (Dotstar) type. I have also tested WS2812 (Neopixel) types. Most of the testing I did was on a 1 meter 144 LED APA102C strand and it looked great. The game gets difficult when there are less LEDs, so I would recommend at least 90. I have also tested with (2) 1 meter 144/m strips soldered together and a giant 5 meter 90 LED/M strip. They all look and work great. The firmware supports up to 1000. Most longer strips are soldered smaller sections. 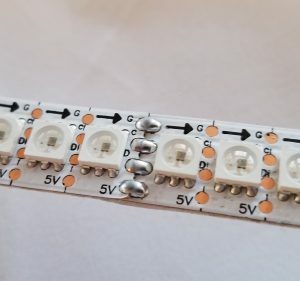 It is easy to solder strips together like the image below. Be sure the 5V, Gnd, etc. are aligned the right way. I have some strips that are waterproof. That is not required, but does not hurt. 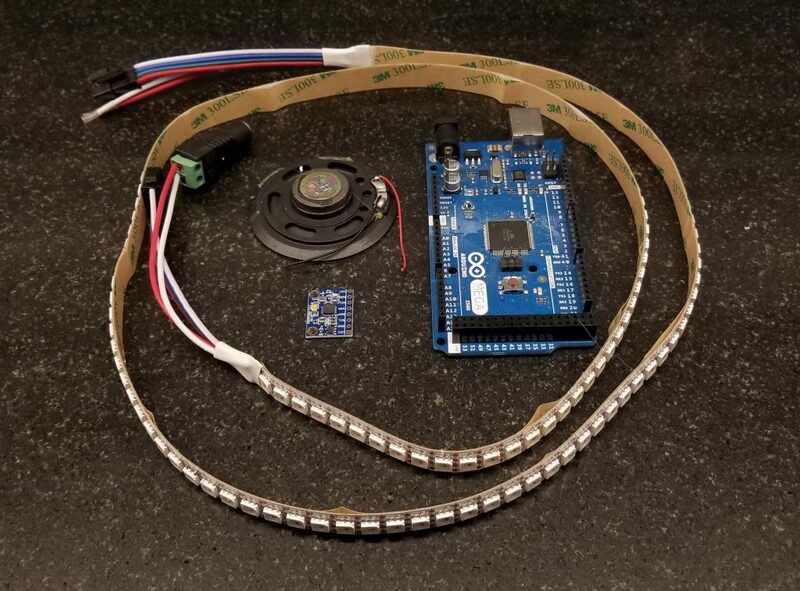 Note: Do not power the LED strip directly from the Arduino. Power it separately from a power supply. Note: My shield has an input for this. It will also power the Arduino. Power Supply – Technically, you could need upwards of 40mA per LED. I bought a 10A supply and it has worked fine without getting hot up to 450 LEDs. Life LEDs – The firmware supports remaining “life” LEDs. I prefer to use the main LED strip for this. It is fun to live within the limitations of the LED strip as the sole display. Using the strip also allows you to adjust the life count in firmware. The default is 3 lives per level, but I have boosted it to 5 for testing. 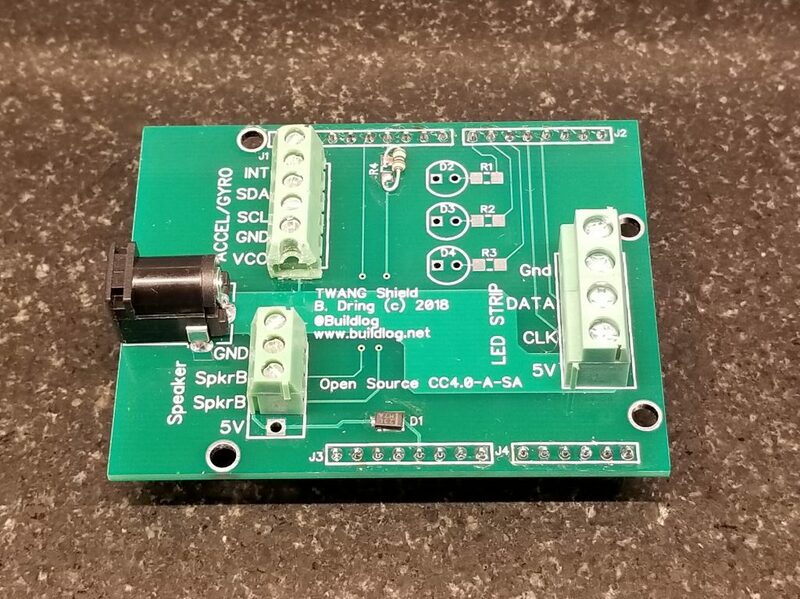 Note: My shield uses different I/O pins for the LED than the original TWANG firmware, so you need to check this if using them. 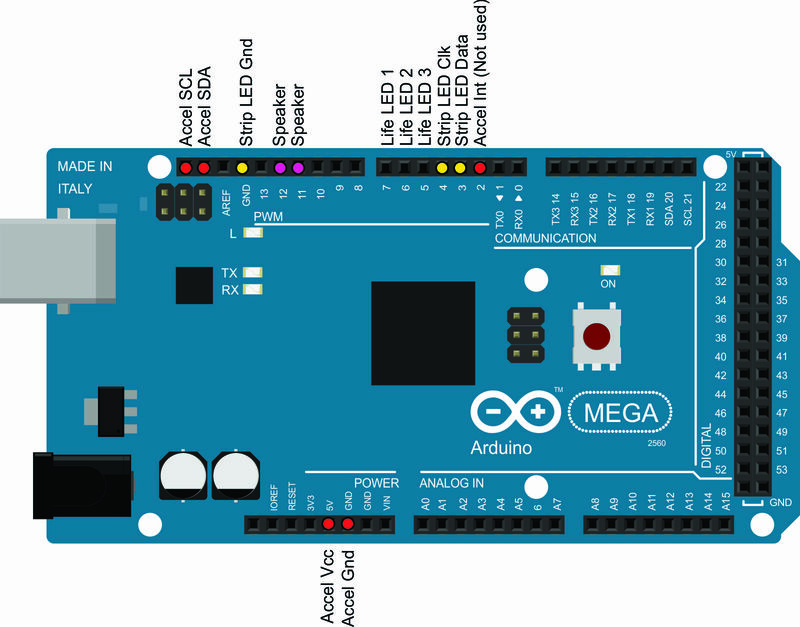 The image below shows all the required connections to the Arduino Mega. My prototype used male header pins poked into the Arduino headers. It worked fine, but wires did often pop out when removing the cover. While hand wiring is very simple, I found it to be messy and I worried about failures. I made a basic shield to clean everything up. Here are the features of the shield. LED Strip Terminal Block – It is very easy to hook up the strip. It works with both 3 and 4 wire strips. The power comes from the shield and no additional connections are required on the strip. Connections are clearly labeled. 3 wires LED strips do not use the CLK connection. 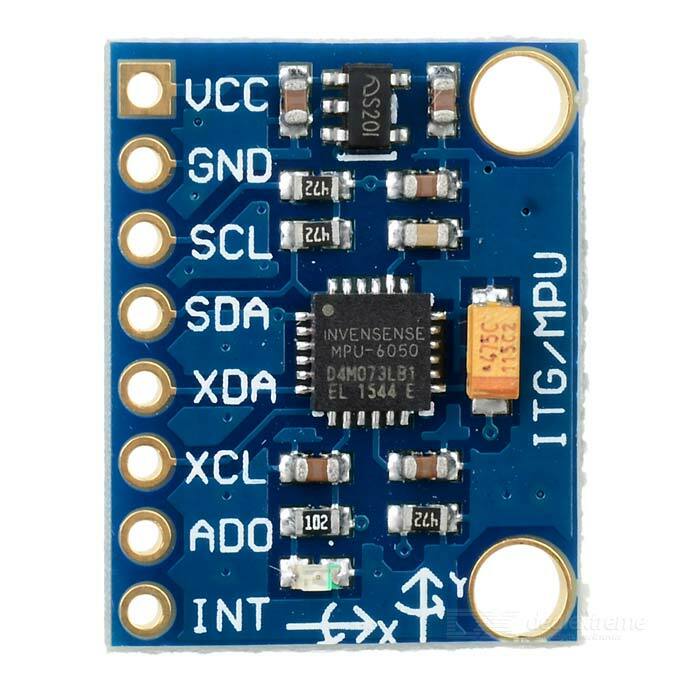 Accelerometer Terminal Block: This has clearly labeled connections using the same names that are on the MPU-6050 accelerometer module. Just hook them up 1 to 1. Speaker Terminal Block: This also has 5V and Gnd if your hacking requires these connections. The 10 Ohm speaker resistor is mounted on the board. 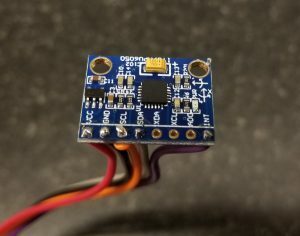 Main 5V power entry connector: This powers the LED strip. It also powers the Arduino. 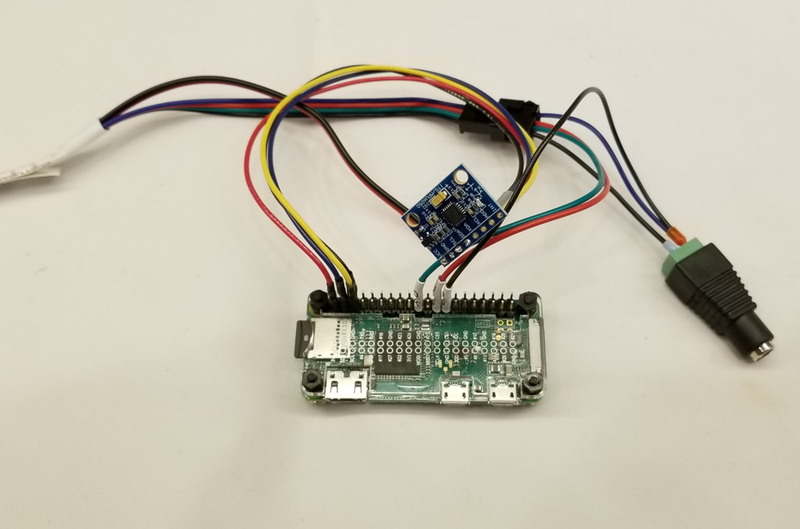 It uses a diode so you can also power the Arduino via USB for programming. Arduino UNO compatible: While the default firmware will not fit on an UNO, future compact version might be possible. Life LEDs – My enclosure does not use them, but you could wire some in. 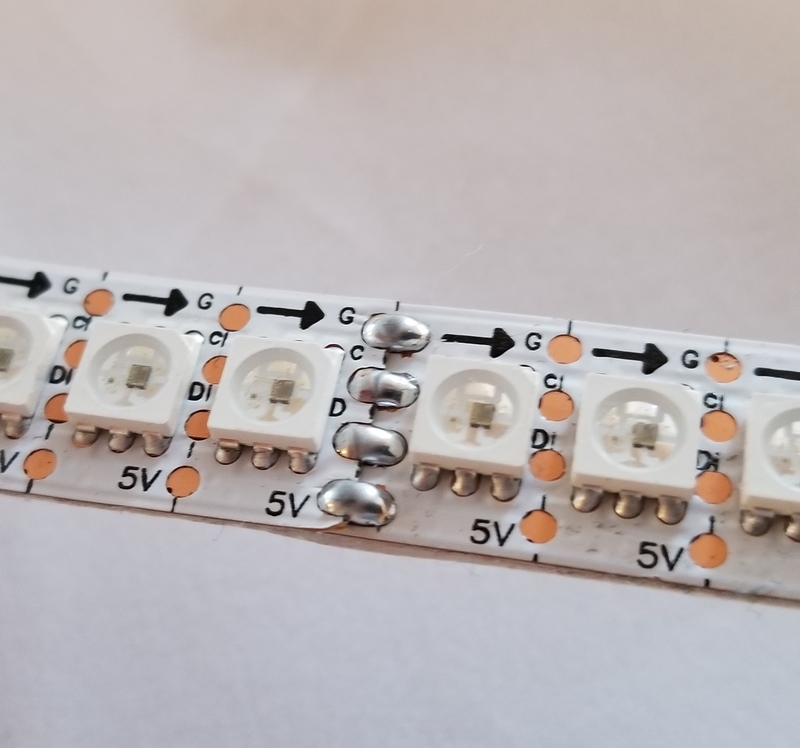 The resistors are included, but not the LEDs. 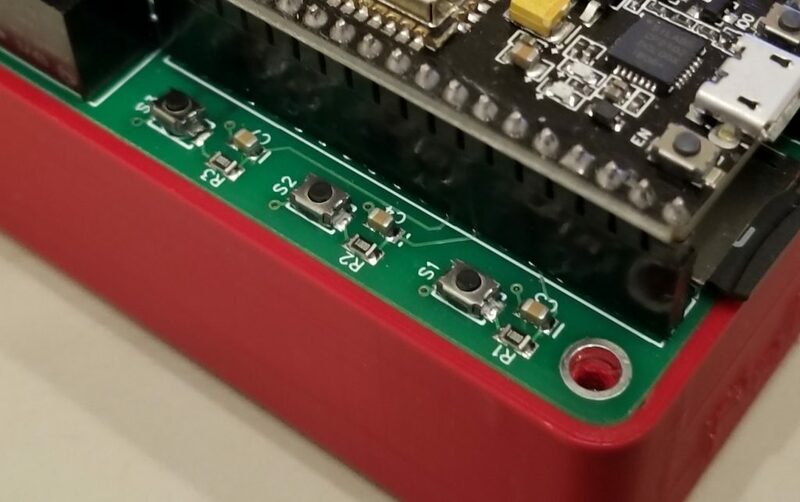 You could solder LEDS on the board or remotely locate them and solder wires to the PCB. 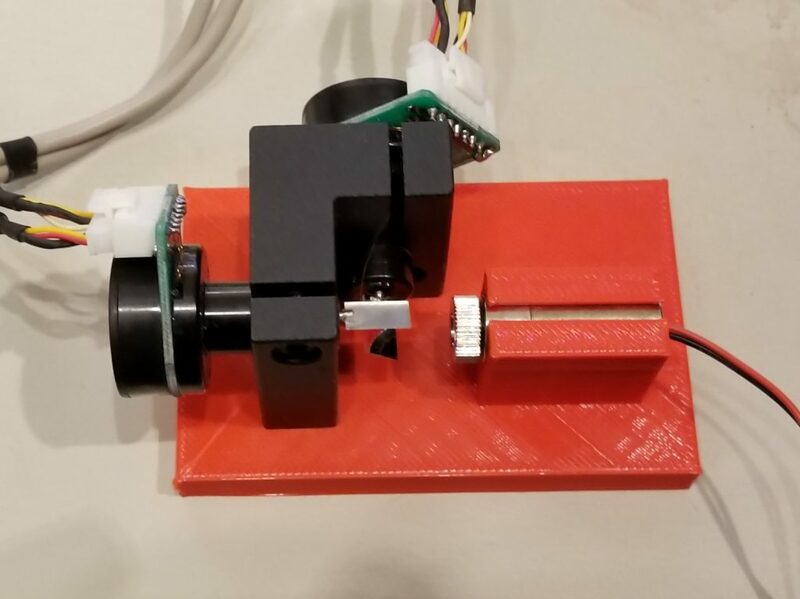 You need to 3D print a bunch of parts, a door spring, some hardware and a little hot glue. My Files – Best if you plan to use my shield. Typically I buy a small batch of PCBs for all my projects. 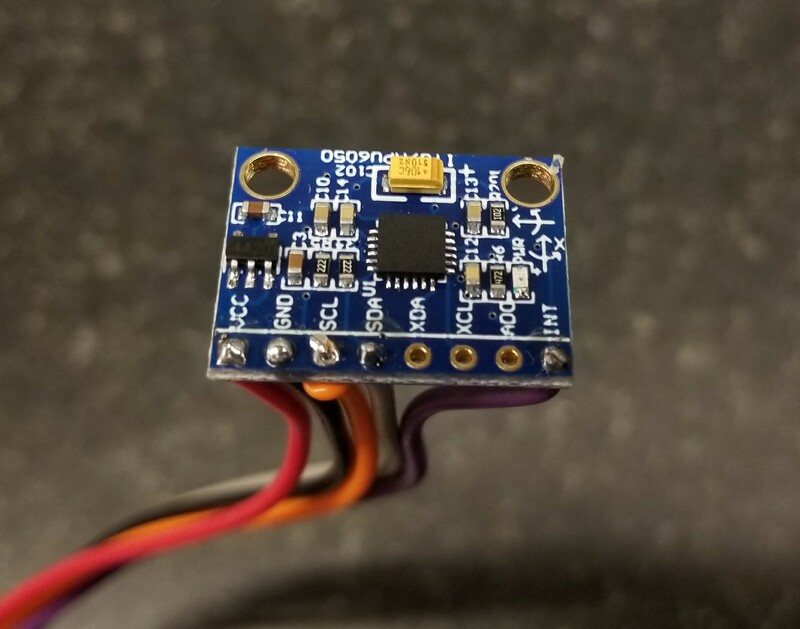 If everything goes well I sell the rest on Tindie and often order more if they sell out. MPU-6050 wired and terminated with wire ferrules. All of this is fully compatible with the original TWANG firmware. I forked the original and added a few changes. I would be happy to merge back to the original some time in future. The firmware relies on several libraries. Follow the instructions on GitHub pages to get those libraries. Hacking the firmware is quite easy. You should at least try editing some levels. More advanced hacking could improve the graphics and sounds. Please give feedback if anyone has made any improvements. At a minimum you have to set the number of LEDs and the LED strip type in the firmware before compiling. (coming soon) This thing looks so awesome in person, but is nearly impossible to video due to the crazy brightness of the LEDs. A friend is going to help me try to get a decent video. In the mean time, take a look at Critter’s videos. 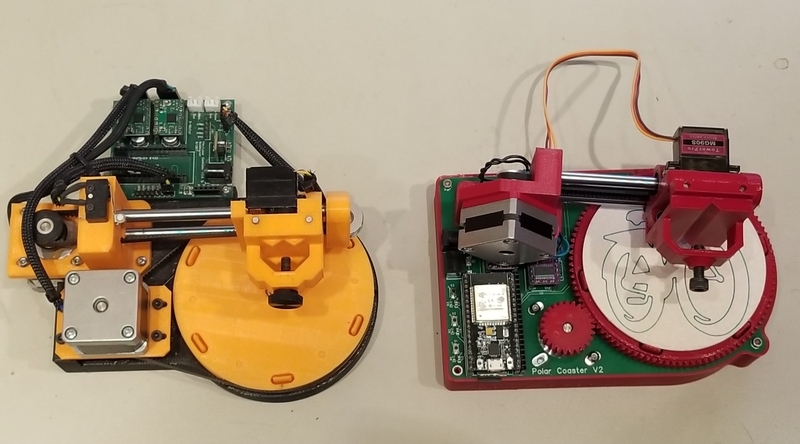 I took my TWANG Clone to ORD Camp, NERP and the Hardware Happy Hour Meetup over the past week. It got a ton of play time. I received a lot of feedback to work on. It’s difficult to beat. Only one person got all the way to the boss level and defeated it. Amazingly, it was Elan Lee. He loved the game and gave me some good ideas to work on. Most people got killed in the second to last level. It has a lot of enemies and a conveyor that keeps pushing you back to the bottom. There is also a sneaky enemy spawner at the bottom that gets a lot of people. It is a great level, so I don’t want to remove it. I have added a few more levels before it to practice before that. The Lava Pools. The lava pools confused some people. I changed the pools to look more red, flickering and scary when they are on and less scary when off. To me it looks more obvious now what to do. The Sound. 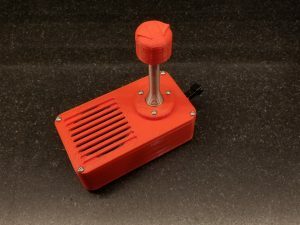 I love the chip tune style sound out of the Arduino, but it needs to be way louder. In a large crowd, you cannot hear it at all. I think it needs an amplifier or an option for an external speaker. Boss Level: By design, the exit at the top of the boss level does not appear until all bosses are dead. People did not understand this and tried to exit out the top early, because the boss respawns below you after the first “kill”. That caused the players to try to leave the game without ending the level. If you exited the top in this mode, the player disappeared without a way back. This is very annoying if you get all the way to this last level. I fixed the code so you can’t goes past the second to last LED when the boss is still alive. New Features: I asked several people for new ideas. I got some to work on, but already added one. The attack width is now adjustable. It will default to the old width, but you can change it per level. More levels. A typical game lasts about about 1-2 minutes. I think a few more medium difficulty levels would help. Release all the source files. Firmware: I have been hacking the code quite a bit. I’ll release my changes after some clean up and testing. STL files: I have been using odd sized speakers harvested from some cheap external speakers. 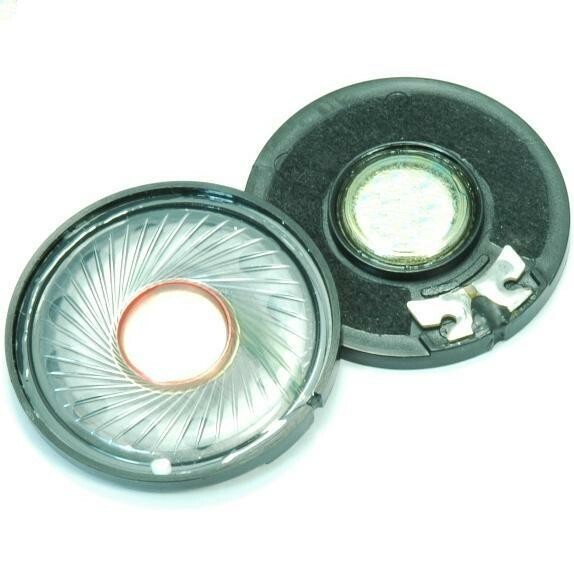 When looking looking to buy some, it seems like 40mm diameter is a good standard size that is cheap and available. As soon as I get some and test them, I will release the files for this size. 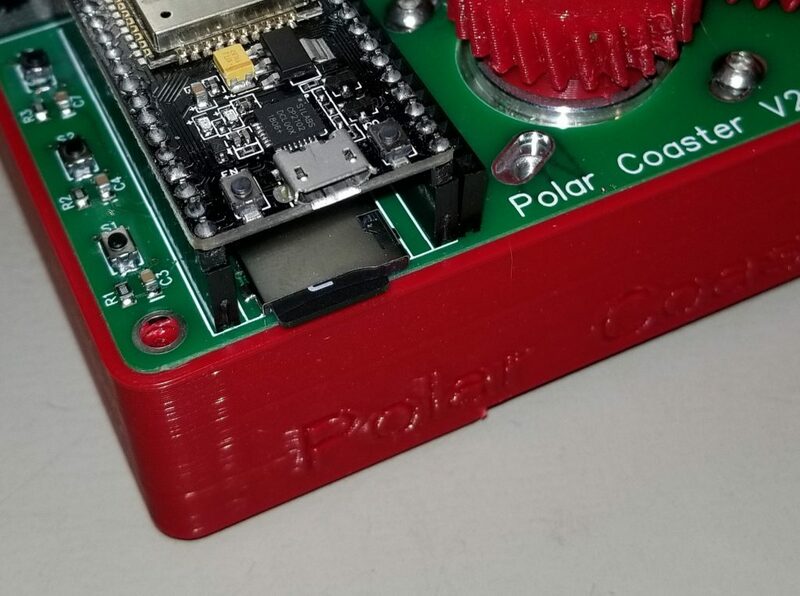 Sell on Tindie. 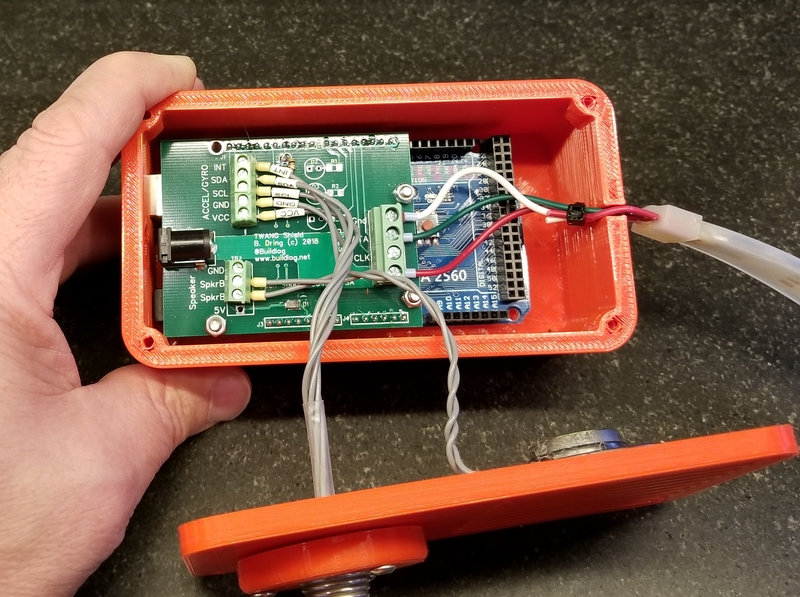 My shield makes wiring super easy, but is definitely not required. I think I’ll sell everything, except for the Mega and LED strip. I’ll also just sell the assembled PCB by itself. Raspberry Pi Zero W: I have looked into several hardware options and this seems to be a good candidate. I think it will be a simple way to get good audio and connectivity. I have the accelerometer and LED strip working so far. The audio will be an I2S amp chip that will be put on a shield. The (2) drawbacks are boot time (20-30 second) and you are probably limited to APA102C (dotstar) type LED strips. Edit: I got a good portion of the code on the Pi running. It runs fine, but I don’t like the requirement for a slow and controlled shutdown of the Pi. It would require a button and some sort of visual feedback. I have been a Patron of Robin Baumgarten for a while. 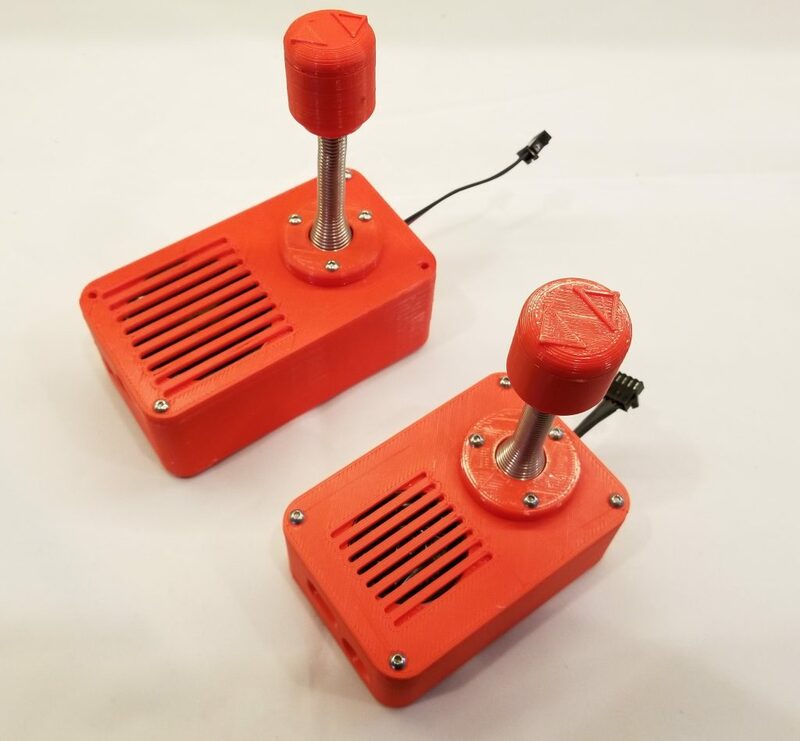 He makes experimental hardware for games. 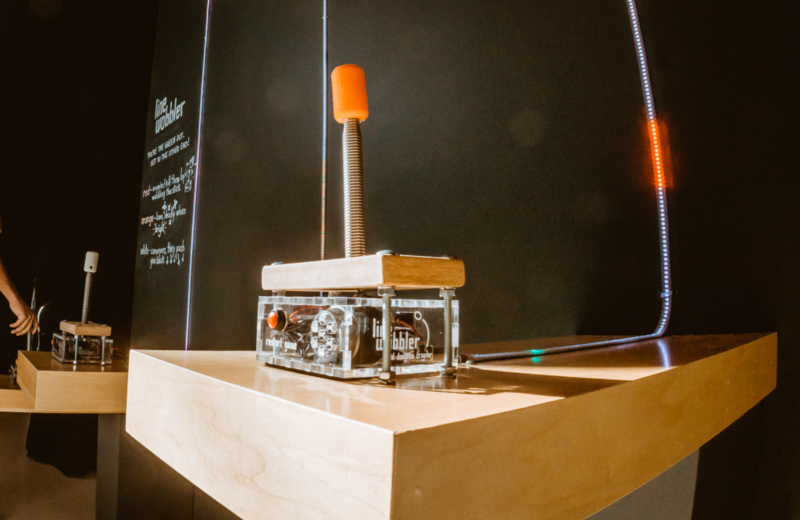 His Line Wobbler one dimensional dungeon crawler is my favorite and I have always wanted to play it. It uses a door stop spring as the controller. 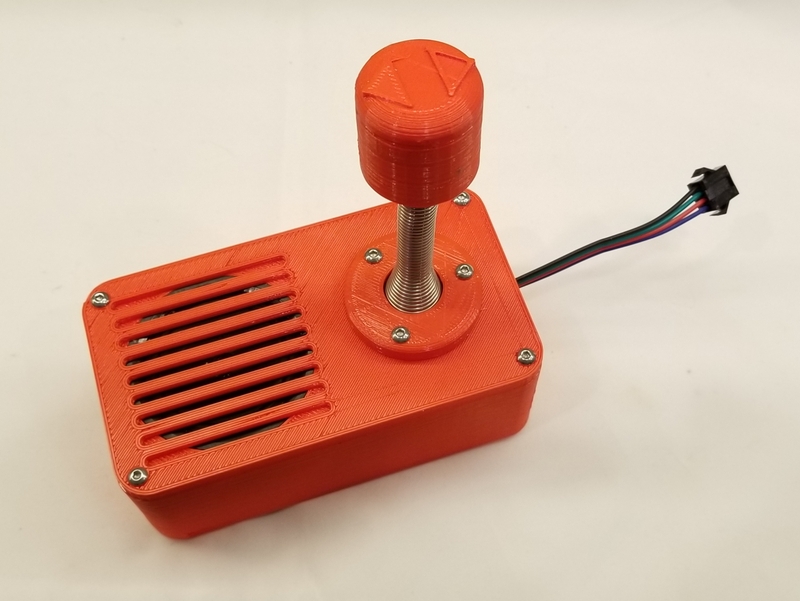 An accelerometer in the knob allows it to work like a joystick and also detect the wobble used to attack the enemies. After seeing his playable Christmas tree version of the game, I had to make one for myself. 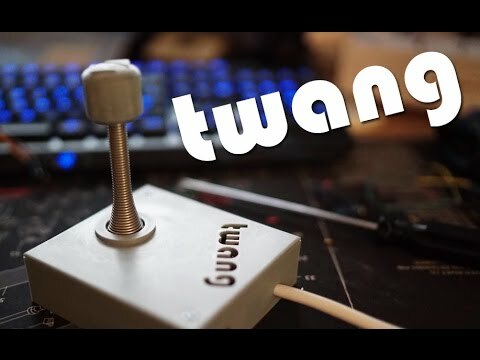 I could not find any source files that he published, but I was able to find an open source clone called TWANG. The game is quite fun and surprisingly challenging. Here is a list of the electronics hardware used. 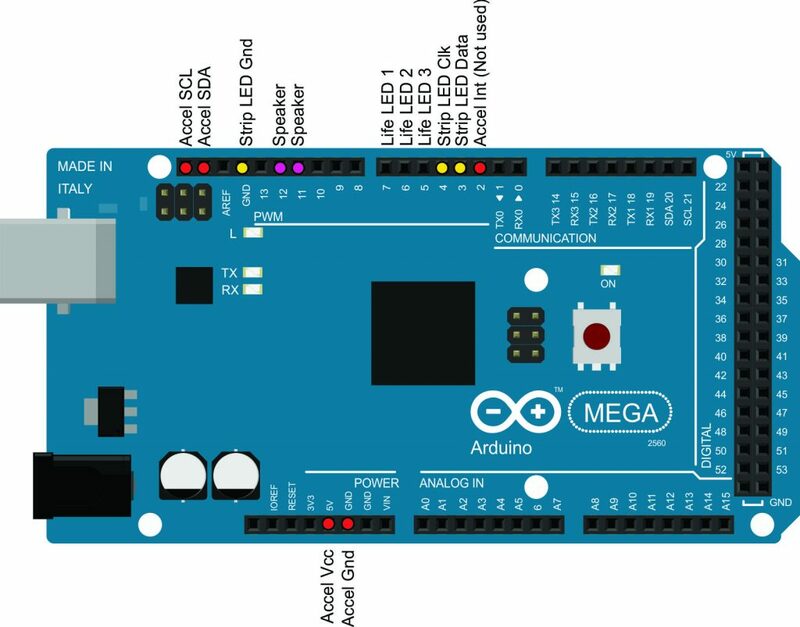 Arduino Mega. The Mega is way overkill for the I/O requirements, but an UNO does not have enough memory. 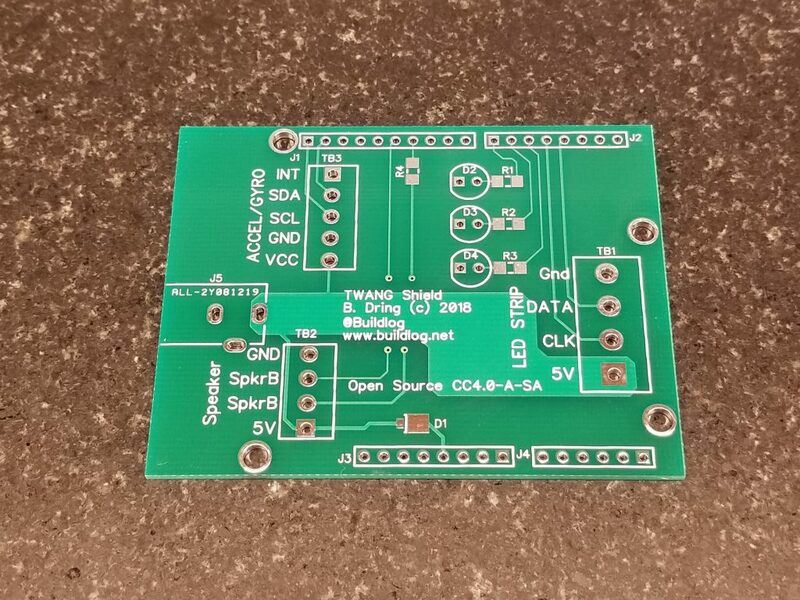 MPU-6050 3 Axis Accel/Gyro Breakout Board. 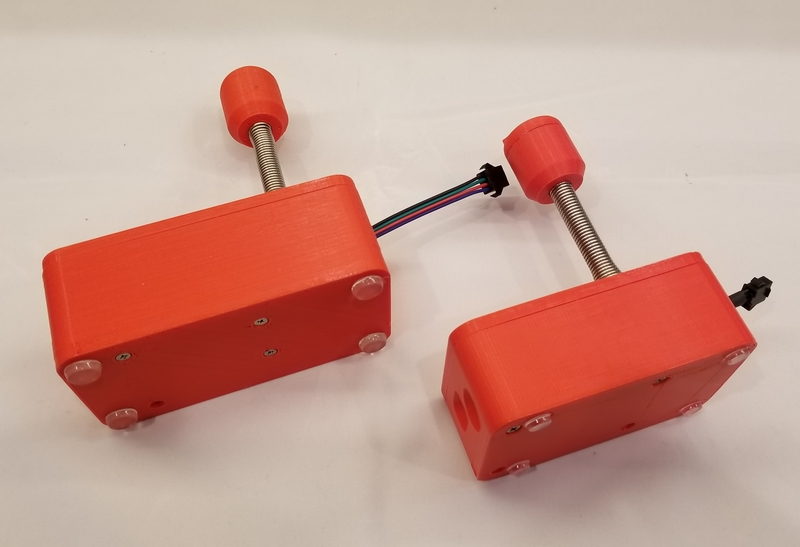 These are available for about $5 and have good library support for Arduino. Small Speaker. I bought a pair of external PC speakers at Micro Center for $4 and pulled out some 2″ speakers. You need to use a 100 Ohm resistor on one of the wires. RGB LED Strip: The default code is written for the APA102 type strips. 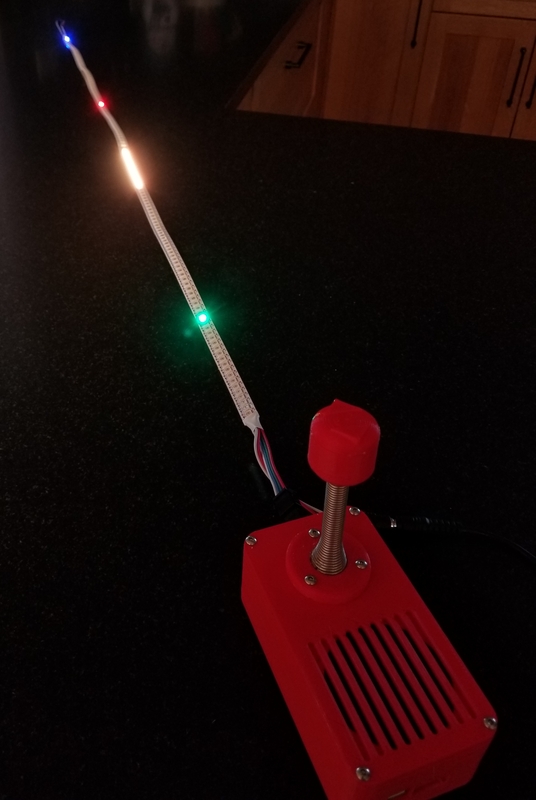 The FastLED library used also supports the cheaper WS2812 (Neopixel) strips. I used a 144 LED 1 meter APA102 strip. The Clock and Data type strips can work faster and they typically have an overall brightness factor that gives them a more useful brightness range than Neopixels. The brightness of these strips is insane and you typically run them at about 1/2 brightness. Life LEDs: You can use 3 individual LEDs to indicate the number of lives you have left. I decided to skip that. I preferred the simplicity of a signal display element. I added a game over animation to the game to make it more clear that you are dead, dead. 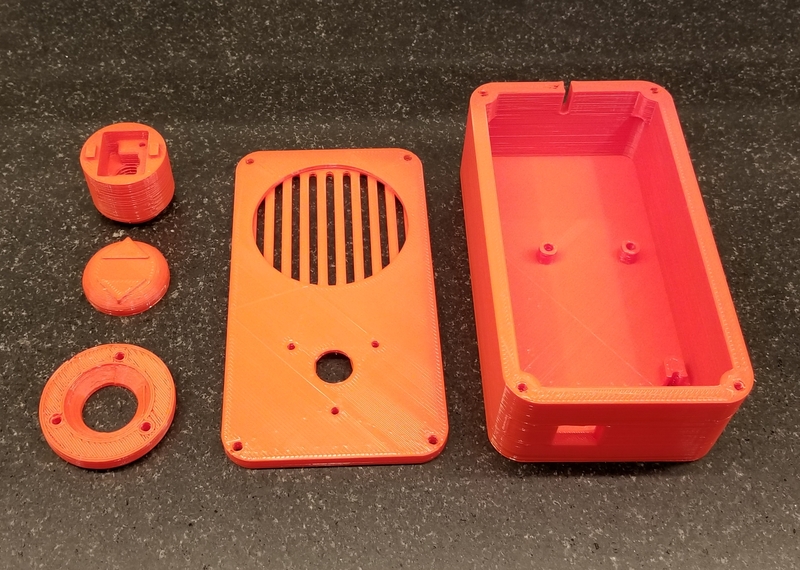 I created my own 3D printed parts. I was having trouble with the TWANG Thingiverse files. They are OBJ files and the parts are grouped. Cura was not creating good prints. My speaker was not going to fit anyway. 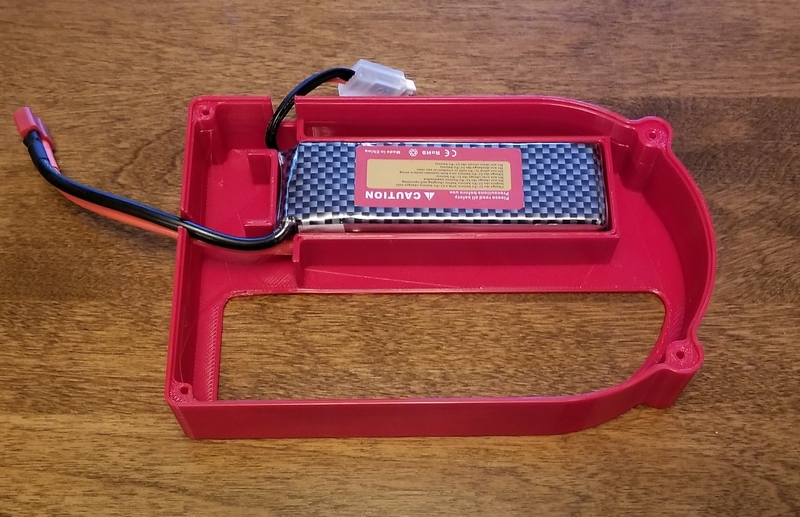 Chassis: I made a heavy walled enclosure to give it a little weight and make it extra strong. Cover: The cover is also very thick. 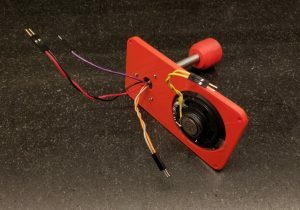 The speaker mounts in a pocket and is attached with hot glue. Spring Clamp. This holds the spring to the cover securely. I also added a little hot glue to prevent it from rotating. Knob Base. This is very similar to the official TWANG version. It has a longer, threaded interface to grab the spring. This parts takes a lot of abuse. Knob Top: Snaps on, but also gets a little hot glue. The firmware is well written and pretty easy to follow. You need to download a lot of libraries. 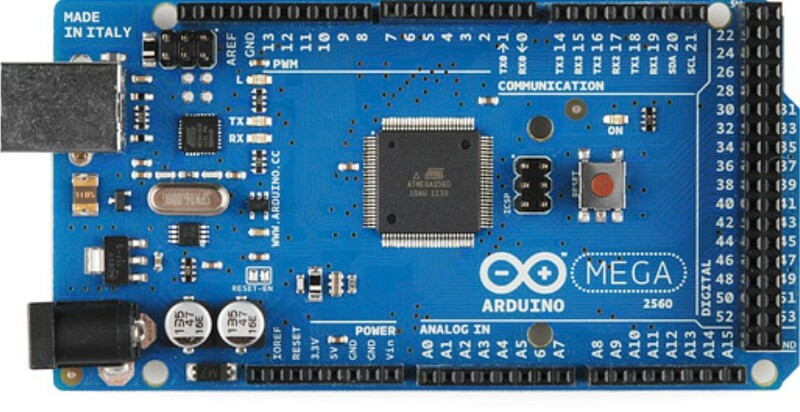 Some can be installed from the Arduino IDE and some must be downloaded manually. This is pretty well explained on the Github page. Everything works on a 60 frames/second loop. This includes the display and the sound. I was able to tweak a few things easily and add a game over animation. The levels are very easy to edit. You really don’t need to know how to program. I tweaked a few to make them easier for beginners. Solder wires to the accel module. Slide the spring clamp over the spring. Assemble the knob to the spring top. Feed the wires through the knob base and spring. 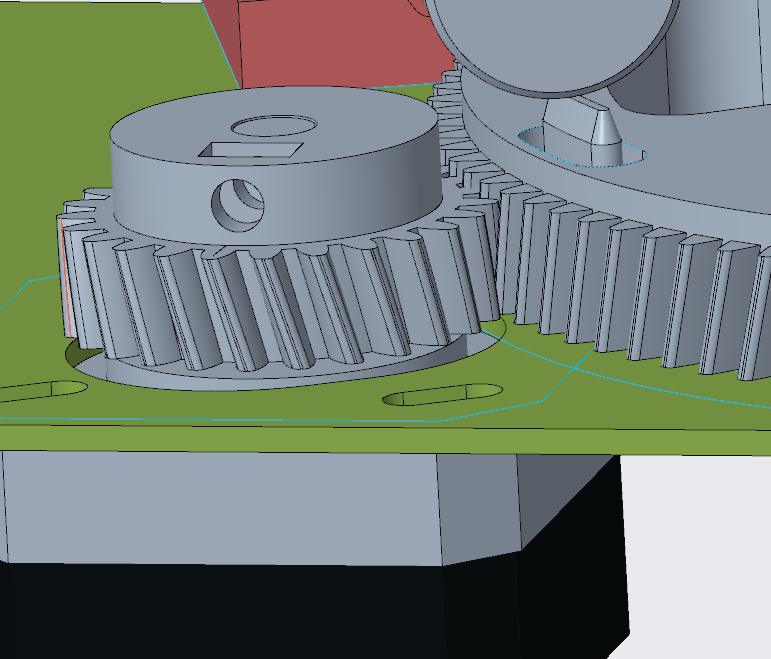 Screw the module to the knob base. Attach the knob top to the knob base. Adjust the metal spring base until the spring stands vertically. Feed the wires through and place the spring in the recess. Put a little hot glue around the spring where the clamp goes. Screw it down. Attach some wires. Put a 100 Ohm, 1/4W inline on one of the wires. 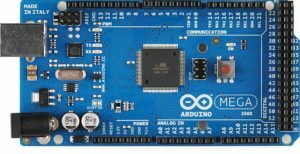 Install the Arduino Mega into the base with screws. Connect all the wires per the graphic below. I wired the accel SCL/SDA at the left end, but you can also wire them to pins 20 & 21 at the right end. 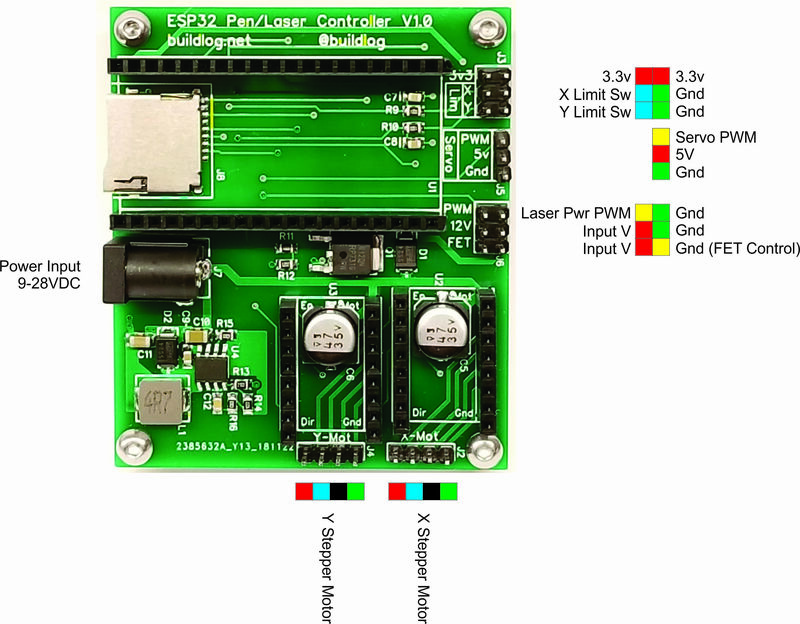 You need to power the LED strip with a separate 5V power supply. I used a 10A supply for my 144 LED strip. You also need to power the Arduino. The easiest way is to do it via the USB port. 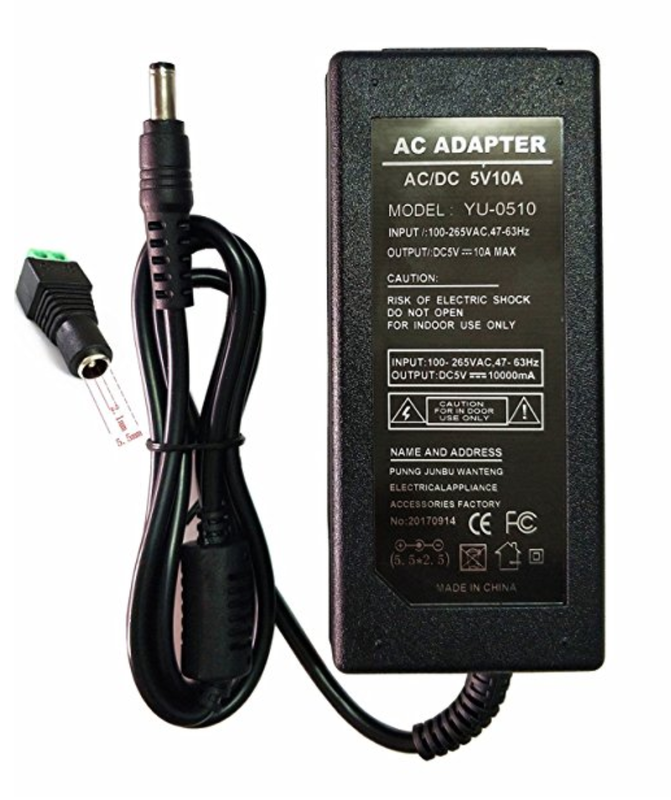 You could wire the power supply in the first step to the 5V on the Arduino, but be careful to never power from the power supply and the USB at the same time or something will likely break. Note: I have been hooking up the LED power first. When I only power the Arduino, I see some flickering of LEDs. That concerns me that it is drawing some power from the I/O pins. Make it Easier to Build: The wiring is a pain and probably not too durable. I used pins crimped into connectors that mated to the Arduino Mega. 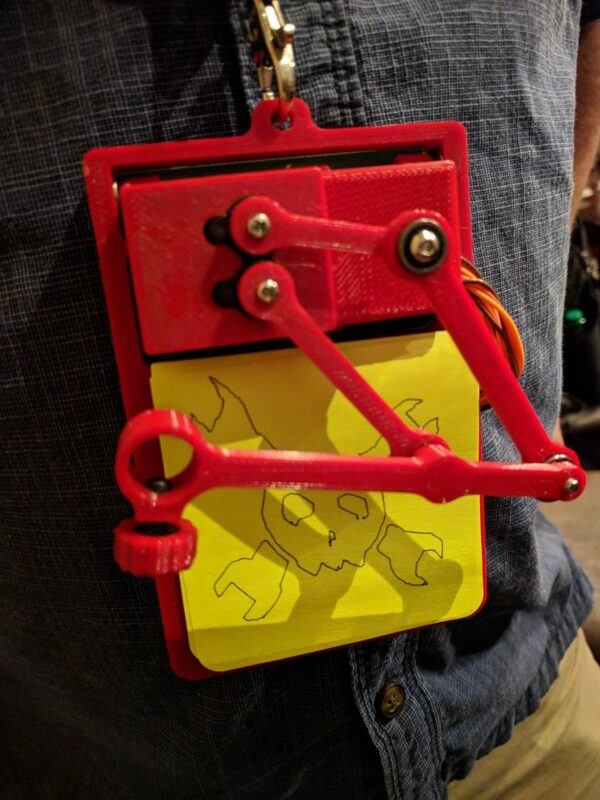 To make it easier I designed a little shield with screw clamps. 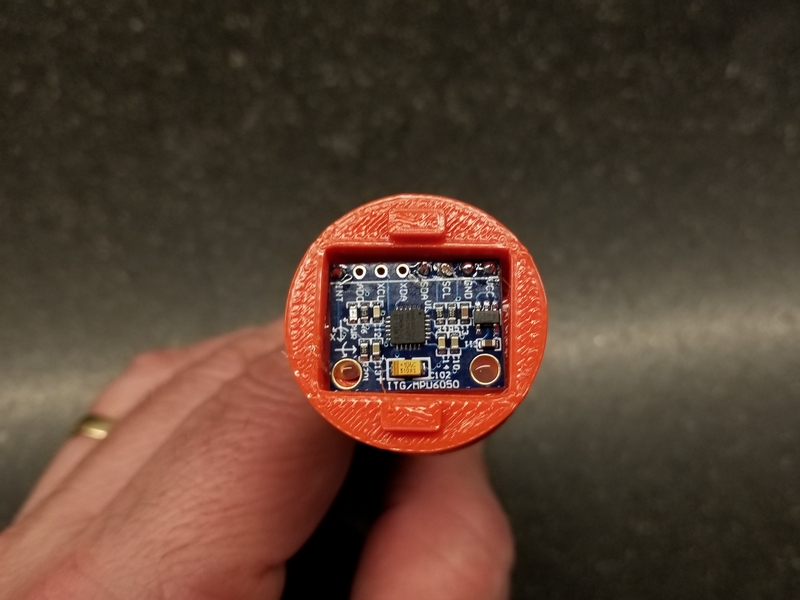 It will also power the Arduino through a diode that will allow the USB to also be used. The speaker resistor is part of shield. 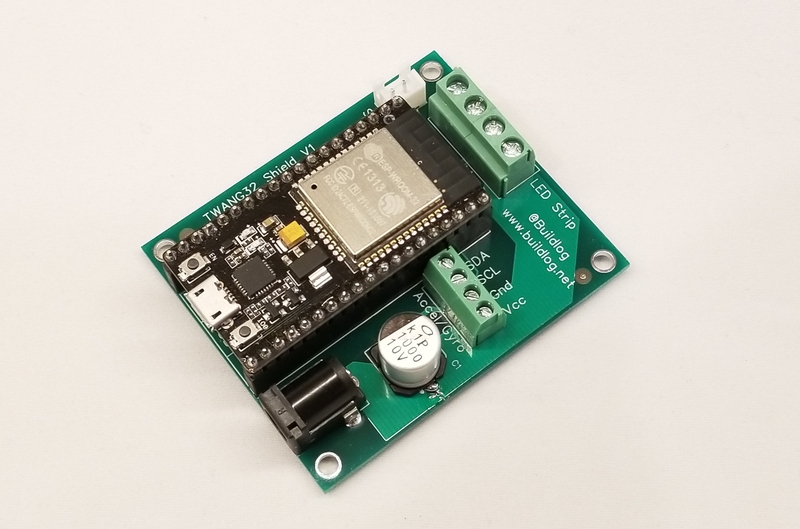 It is also compatible with an Arduino UNO, so a pocket sized TWANG might be possible. That arrives next week. 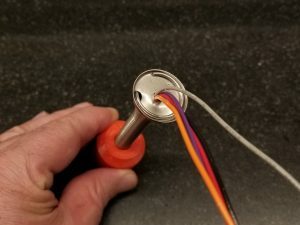 I will likely sell the extras on Tindie. 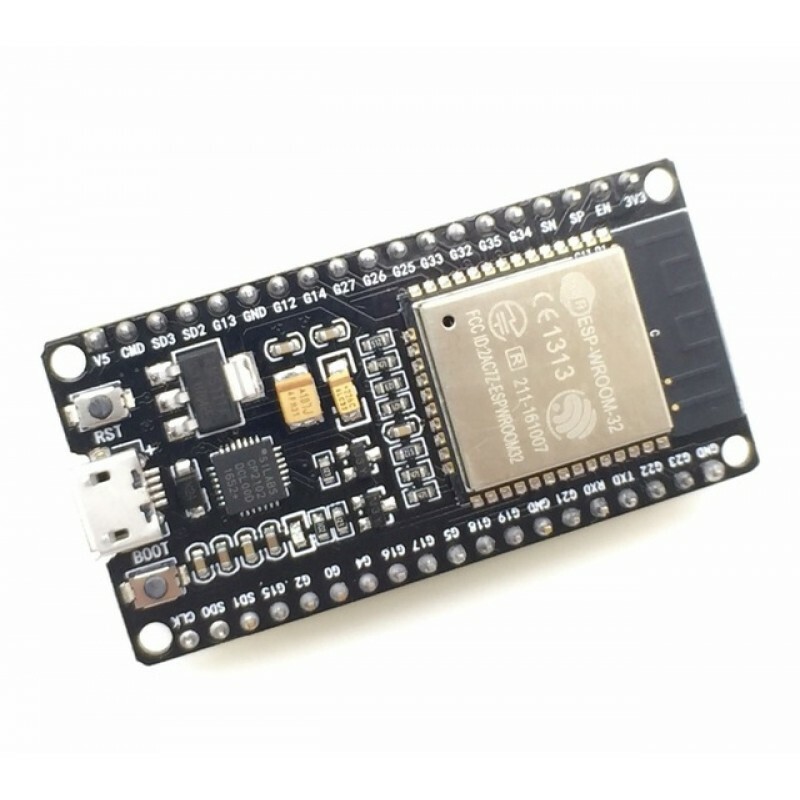 ESP32 Version: I would really like to try this. The sound and speed should be better and the ability to network with another player sounds cool. It is also smaller and cheaper. Scoring System: Everyone want to compete. Here is a video of the Twang. 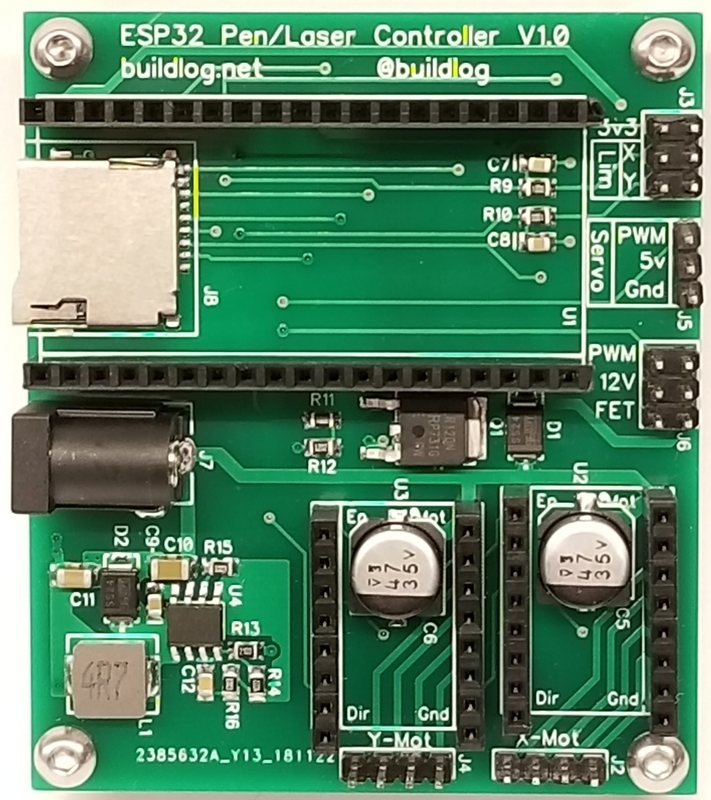 You are currently browsing the Buildlog.Net Blog weblog archives for the DIY category.